T. colubriformis and H. contortus parasitism is estimated to cost the Australian livestock industry hundreds of millions of dollars every year due to lost productivity and treatment costs. 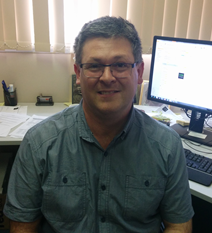 I conduct immunological, cell and molecular biological research at the University of New England focussed on developing vaccination strategies that will control gastrointestinal parasitism within livestock. The aim of the research is to understand the cellular and molecular mechanisms of the host responses to parasites and to develop cost effective immuno-therapies that augment protective anti-parasite responses in animals. As part of the Brain Behaviour Research group I design and perform biochemical and molecular assays aimed at eluicidating the molecular pathways associated with depression and autism spectrum disorders. Vaccine development: The aim of this project is to develop a vaccine against zoonotic gastrointestinal nematodes that parasitize and kill sheep. Coeliac disease: The aim of this project is to identify the gene expression objective measures associated with coeliac disease. McMillan M, Andronicos N, Davey R, Stockwell S, Hinch G, Schmoelzl S. (2014) Claudin-8 expression in Sertoli cells and putative spermatogonial stem cells in the bovine testis. Reprod Fertil Dev. Reprod Fertil Dev. 26: 633-44. McNally J, Callan D, Andronicos N, Bott N, Hunt PW. (2013) DNA-based methodology for the quantification of gastrointestinal nematode eggs in sheep faeces. Vet Parasitol. 198(3-4): 325-35. Miles LA, Lighvani S, Baik N, Andronicos NM, Chen EI, Parmer CM, Khaldoyanidi S, Diggs JE, Kiosses WB, Kamps MP, Yates JR 3rd, Parmer RJ. (2012) The Plasminogen Receptor, Plg-R(KT), and Macrophage Function. J Biomed Biotechnol. 250: 464. Andronicos NM, McNally J, Kotze AC, Hunt PW, Ingham A. (2012) Trichostrongylus colubriformis larvae induce necrosis and release of IL33 from intestinal epithelial cells in vitro: implications for gastrointestinal nematode vaccine design. Int J Parasitol. 42(3):295-304. Nagaraj SH, Harsha HC, Reverter A, Colgrave ML, Sharma R, Andronicos N, Hunt P, Menzies M, Lees MS, Sekhar NR, Pandey A, Ingham A. (2012) Proteomic analysis of the abomasal mucosal response following infection by the nematode, Haemonchus contortus, in genetically resistant and susceptible sheep. J Proteomics. 75(7): 2141-52. Ingham A, Menzies M, Hunt P, Reverter A, Windon R, Andronicos N. (2011) Divergent ghrelin expression patterns in sheep genetically resistant or susceptible to gastrointestinal nematodes. Vet Parasitol. 181(2-4):194-202. Kadarmideen HN, Watson-Haigh NS, Andronicos NM. (2011) Systems biology of ovine intestinal parasite resistance: disease gene modules and biomarkers. Mol Biosyst. 2011; 7(1):235-46. Epub 2010 Nov 11. Erratum in: Mol Biosyst. 7(12): 3376. Menzies M, Reverter A, Andronicos N, Hunt P, Windon R, Ingham A. (2010) Nematode challenge induces differential expression of oxidant, antioxidant and mucous genes down the longitudinal axis of the sheep gut. Parasite Immunol. 32(1):36-46. Andronicos NM, Chen EI, Baik N, Bai H, Parmer CM, Kiosses WB, Kamps MP, Yates JR 3rd, Parmer RJ, Miles LA. (2010) Proteomics-based discovery of a novel, structurally unique, and developmentally regulated plasminogen receptor, Plg-RKT, a major regulator of cell surface plasminogen activation. Blood. 115(7):1319-30. Andronicos N, Hunt P, Windon R. (2010) Expression of genes in gastrointestinal and lymphatic tissues during parasite infection in sheep genetically resistant or susceptible to Trichostrongylus colubriformis and Haemonchus contortus. Int J Parasitol. 40(4):417-29. Miles LA, Andronicos NM, Baik N, Parmer RJ (2006) Cell-surface actin binds plasminogen and modulates neurotransmitter release from catecholaminergic cells. J Neurosci. 26:13017-24. Tarui T, Akakura N, Majumdar M, Andronicos NM, Takagi J, Mazar AP, Bdeir K, Kuo A, Yarovoi SV, Cines DB, Takada Y. (2006) Direct interaction of the kringle domain of urokinase-type plasminogen activator (uPA) and integrin alpha V beta 3 induces signal transduction and enhances plasminogen activation. Thromb Haemost. 95:524-34. Miles LA, Hawley SB, Baik N, Andronicos NM, Castellino FJ, Parmer RJ. (2005) Plasminogen receptors: the sine qua non of cell surface plasminogen activation. Front Biosci.10:1754-62. Bower K, Djordjevic SP, Andronicos NM, Ranson M. (2003) Cell surface antigens of Mycoplasma species bovine group 7 bind to and activate plasminogen. Infect Immun 71: 4823-7. Tarui T, Andronicos NM, Czekay RP, Mazar AP, Bdeir K, Parry GC, Kuo A, Loskutoff DJ, Cines DB, Takada Y. (2003) Critical role of integrin alpha 5 beta 1 in urokinase (uPA)/urokinase receptor (uPAR, CD87) signaling. J Biol Chem. 278:29863-72. Ranson M, Andronicos NM. (2003) Plasminogen binding and cancer: promises and pitfalls. Front Biosci. 8:s294-304. Ranson M, Tian Z, Andronicos NM, Rizvi S, Allen BJ. (2002) In vitro cytotoxicity of bismuth-213 (213Bi)-labeled-plasminogen activator inhibitor type 2 (alpha-PAI-2) on human breast cancer cells. Breast Cancer Res Treat. 71:149-59. O'Dwyer DT, Smith AI, Matthew ML, Andronicos NM, Ranson M, Robinson PJ, Crock PA. (2002) Identification of the 49-kDa autoantigen associated with lymphocytic lypophysitis as alpha-enolase. J Clin Endocrinol Metab. 87:752-7. Andronicos NM, Ranson M. (2001) The topology of plasminogen binding and activation on the surface of human breast cancer cells. Br J Cancer. 85: 909-16. Andronicos, NM, Baker, MS, Lackmann, M, Ranson, M. (2000) Deconstructing the interaction of glu-plasminogen with its receptor alpha-enolase. Fibrinolysis and Proteolysis 14, 327-336. Ranson M, Andronicos NM, O'Mullane MJ, Baker MS. (1998) Increased plasminogen binding is associated with metastatic breast cancer cells: differential expression of plasminogen binding proteins. Br J Cancer. 77:1586-97. Andronicos NM, Ranson M, Bognacki J, Baker MS. (1997) The human ENO1 gene product (recombinant human alpha-enolase) displays characteristics required for a plasminogen binding protein. Biochim Biophys Acta. 1337:27-39. Miles LA, Andronicos NM, Felez J, Grella DK, Castellino FJ, Gong Y. The role of Lys-Plasminogen in cell-mediated plasmin formation. Pages: 103-119. 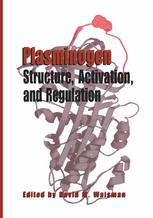 In: Plasminogen: Structure, Activation and Regulation. Waisman, DM (Ed) Kluwer Academic/Plenum Publishers, New York (2003). Lindsey A. Miles, Nicholas M. Andronicos, Emily I. Chen, Nagyung Baik, Hongdong Bai, Caitlin M. Parmer, Shahrzad Lighvani, Samir Nangia, William B. Kiosses, Mark P. Kamps, John R. Yates III and Robert J. Parmer. Identification of the Novel Plasminogen Receptor, Plg-RKT. Proteomics pages 219-38. 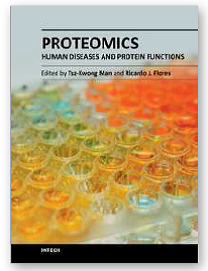 In: Human Diseases and Protein Functions Edited by: Tsz-Kwong Man and Ricardo J. Flores. Publisher: InTech, Feb 2012.